After only eight days after working with President Donald Trump, a Muslim-American national security staff resigned, saying that working under president Trump was an insult. 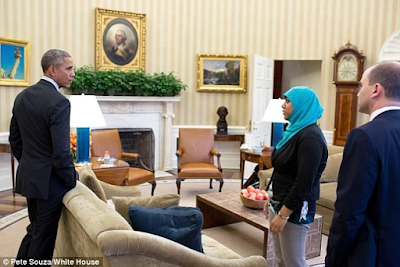 Rumana Ahmed began working at the White House during Obama’s administration immediately after graduating from college. Rumana, whose family moved to Maryland from Bangladesh, worked for only eight days after Trump was elected before resigning. In an editorial piece, Rumuna wrote that the President’s ban on travellers from seven Muslim countries was what prompted her to make the decision, having come to the realization that she could no longer work for an administration that saw her and her people as a threat. She revealed that after Trump resumed office she felt uncomfortable going to work and often got cold, uncomfortable stares from people in the White House who were wondering why she was still there while some others totally ignored her. This made it impossible for her to interact with anybody. She also revealed that Trump kept her and other staffers out of the policy-making process, causing them to be clueless and only find out about things happening within the White House from the news. 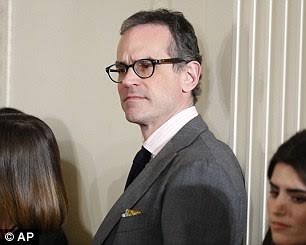 A day before she left, Rumuna told of how she bade farewell to the few colleagues she had left and notified Trump’s senior NSC communications adviser, Michael Anton, of her plan but he did not ask why she was leaving. It is revealed that Anton is in support of authoritarianism and has written a book that attacks diversity as a ‘weakness’, and Islam as ‘incompatible with the modern West,’ so it comes as no surprise that he did not ask her why she was leaving. She described how she revealed to him that she could no longer work with the current administration and how he showed a lack of concern. “I told him I had to leave because it was an insult walking into this country’s most historic building every day under an administration that is working against and vilifying everything I stand for as an American and as a Muslim,’ she wrote. “Walking into that building was becoming more and more difficult every single day because everything that administration was doing stood against what I stood for as both an American and as a Muslim”. Kissing in the campus a punishable offense–University of Zimbabwe.